RACE Day Teambuilder | Soapbox derby for DC metro groups. 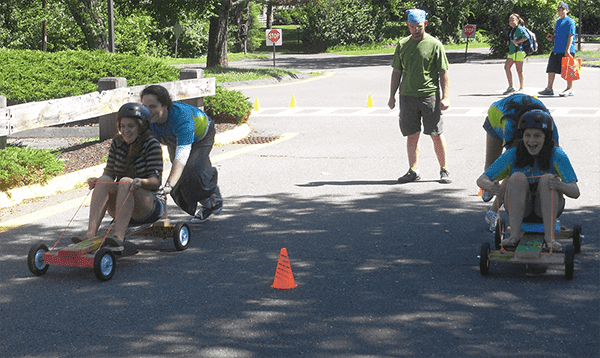 The RACE Day Teambuilder combines the facilitation of a traditional team building exercise with the fun and results-driven motivational benefits of a competitive soapbox derby race. The RACE Day Teambuilder is a good team building event for teams and groups looking for a highly creative, fast-paced challenge that requires a great deal of teamwork and a little bit of engineering. Your team’s ability to innovate and create a vehicle that is unique (and drivable!) with limited resources (restricted budget, time, and materials) will make the difference between winning and losing the race!